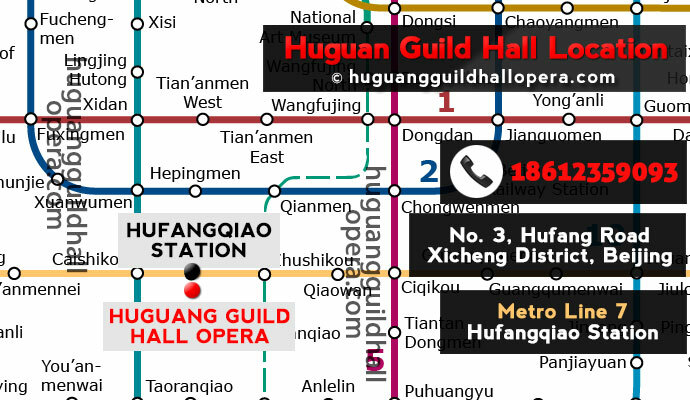 Huguang Guild Hall is situated in the Xicheng District of Beijing. South from the city center. The area is rich in culture, restaurants, shops and nightlife. Best accessed by metro, see below. The easiest way to get there is by Beijing Subway on line 7. 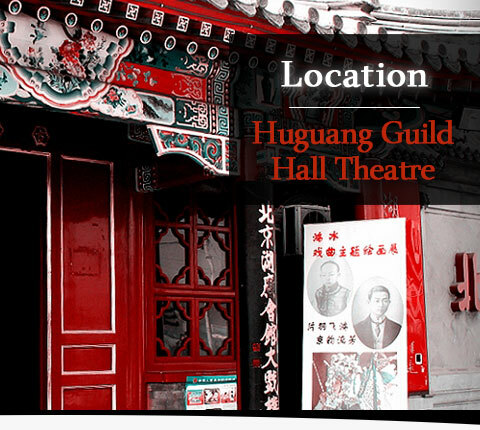 The Huguang Guild Hall Theatre is a short walk from Hufangqiao Station. huguangguildhallopera.com © 2013-2017 - All Rights Reserved.